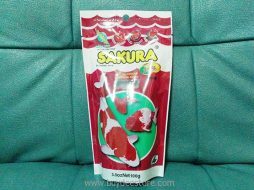 Main ingredients are dried mosquito larva and squid liver. Black bead lures predator fish like fighting fish to attack it immediately. The nutrition makes fighting fish colorful and aggressive. Vitamin C quickly helps wound healing of torn fin and tail. Vitamin E is an antioxidant reduces fish infection at gill, reduces fish stress, and also extend fish life cycle. 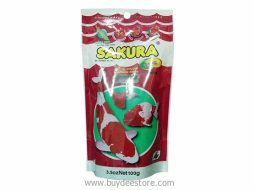 Spirulina adds nutrition such as amino acid for fish food which makes fish healthy. Healthy fish will have bright and colorful skin. Bead doesn’t cause dirty water and can float all day long. 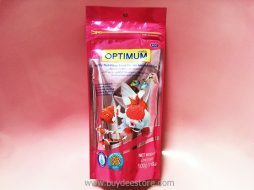 4 Colours formula with Spirulina Special for enhanced colour and growth. 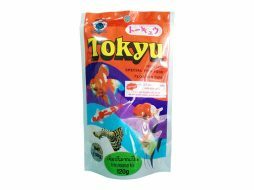 SPECIAL NUTRITIONAL FORMULATION ENSURES EVERLASTING COLOR AND THE HEALTH OF YOU FISH. 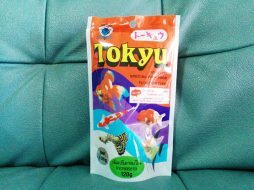 CONTAINS ASTAXANTHIN, CAROTENOID PIGMENT THAT ENHANCES THE BRILLIANT NATURAL COLOR OF AQUARIUM FISH. RICH IN VITAMIN C AND VITAMIN E TO HELP REDUCE STRESS AND INCREASE IMMUNITY. HIGHLY AVAILABLE PHOSPHORUS HELPS PROMOTE GROWTH.